Shop @ NoMoreCrohns - No More Crohn's For Me! Take a look at what's available to help you follow the Specific Carbohydrate Diet more easily and more joyfully. 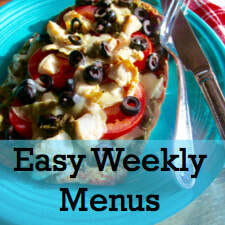 Take advantage of our Easy Menu Packet! Get inspiration on what to eat from our beautiful and useful cookbooks, magazines, and booklets which we've created just for you. You'll find healthy recipes, ideas for eating when you travel, info about handling the holidays and so much more! You can also do some one-stop shopping in our Amazon Store, where we've gathered lots of our favorite grocery items, kitchen tools, and travel goodies to help make the SCD easier and more fun to follow.